Look for A.L.A.S. trainings, support groups including Esperanza Down in our events calendar. 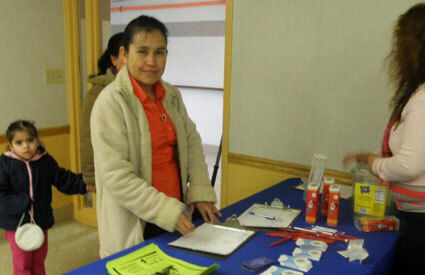 Families need to know what's available in their community we resources in English and Spanish. A.L.A.S. 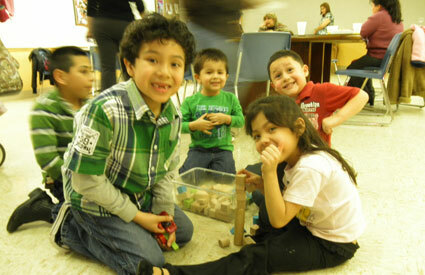 provides families with an array of services from trainings to parent mentoring in English and Spanish. Parents learn best from other parent's experiences. Hear from some of our own A.L.A.S. parents. 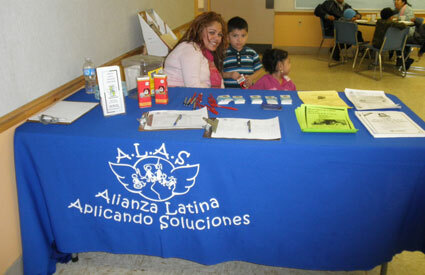 Alianza Latina Aplicando Soluciones is a non-profit organization dedicated to promoting the independence of families of children and youth with diverse abilities in Wisconsin by providing educational workshops, parent support groups, family events, community building activities, and service referrals. We want to thank everyone that came and particpated in our IEP Part 1 Family Edcuational Workshop last Friday. The participants had a chance to gain a better understanding of the IEP process. We discussed the first four parts of the IEP document and taked about the importance of creating and maintaining collaboratinve relationships with school staff, teachers and administrators. We also talked about the importance of becoming an acitive and effective member of IEP team. The discussion was abundant and reach and we can't wait to continue the conversation at our next workshop, IEP Part 2 next month. Don't forget to call our office to register. Time: 10:00 a.m. - 12:30 p.m. Description: Come and share your child’s achievements and challenges. Everyone benefits from sharing and hearing experiences, challenges and successes of having a child with disabilities. Funded in part by the U. S. Department of Education, Office of Special Education Programs-Community Parent Resource Center, Milwaukee County Department of Health and Human Services-Disability Services Division- Advocacy Program, Parent to Parent of WI, Forest County Potawatomi Foundation, Southeast Regional Center for Children and Youth with Special Health Care Needs. The contents of this website were developed under a grant from the US Department of Education, Office of Special Education Programs (OSEP) #H328C080018. However, those contents do not necessarily represent the policy of the US Department of Education, and you should not assume endorsement by the Federal Government. Opinions expressed herein are those of the authors and do not necessarily represent the position of the U.S. Department of Education. Project Officer, David E. Emenheiser. Fundado en parte por el Departamento de Educación de Estados Unidos, Oficina de Programas de Educación Especial-Centro de Recursos de Padres de la Comunidad CPRC, Departamento de Salud y Servicios Sociales del Condado de Milwaukee- División de Servicios de Discapacidades-Programa de Abogacia, Padre a Padre de WI, Forest County Potawatomi Foundation, Southeast Regional Center for Children and Youth with Special Health Care Needs. El contenido de esta página fue creado por medio de una beca del Departamento de Educación de Estados Unidos, Oficina de Programas de Educación Especial (OSEP) #H328C080018. El contenido no representa necesariamente las pólizas del Departamento de Educación de Estados Unidos, y no se debe asumir el respaldo del Gobierno Federal. Las opiniones expresadas son del autor y no necesariamente representan la posición del Departamento de Educación de Estados Unidos. Project Officer, David E. Emenheiser.